SOLD in JUST 5 Days for 98% of List Price! Bright & luxurious CONCRETE designer STUDIO w/ PARKING at LUMEN, in the heart of Vancouver's new Armoury Designer District near Granville Island. Built in 2010 & in like-new condition, this sleek upscale designer suite spells class & style in every respect. LUMEN is BuiltGreen certified & offers stately modern int finishes & conveniences like hrdwd flrs, Quartz counters, Bosch appl's, geothermal heating/cooling, translucent roll blinds & heated tile flrs in bath, just to name a few. Built-in Murphy bed, parking, locker, outdoor balc & bike storage all included! 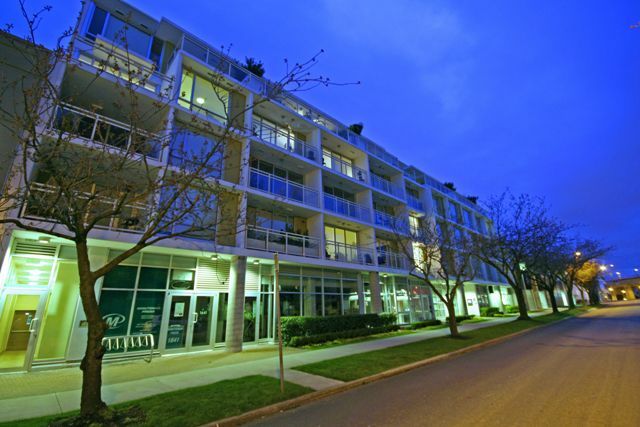 1st class exercise centre & expansive roof deck w/spectacular city views, BBQ & communal gardens. OPEN SAT 3-5 & SUN 12 -2.